Product designed to take care of decorative chrome-plated surfaces. Today's best special product for cleaning and polishing chrome-plated surfaces. Gives a new appearance to chrome-plated parts of cars, motorcycles and other vehicles. Removes a dull layer, dark spots, and corrosion. Refreshes and gives shining to chrome-plated parts. 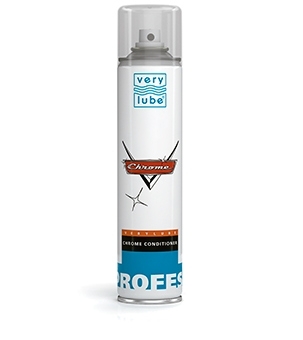 Provides a long-term protection from corrosion. 2. Spray a small amount of the product onto the surface of the part to be treated.